Dinosaur eggs took a surprisingly long time to hatch, according to a study published today in the Proceedings of the National Academies of Sciences, which determined that two well-preserved dinosaur embryos—a Protoceratops and a Hypacrosaurus—were three and six months old respectively when they died inside their shells. If long incubation times were the norm among dinosaurs, the risk to babies and adults alike would have made it hard to compete in the post-apocalyptic wasteland following the Chicxulub asteroid impact 66 million years ago. Many of our assumptions about the lives of dinosaurs are based on their living descendants—birds—and embryonic development is no exception. Birds stand out among egg-laying animals, in that they produce a small number of large eggs with very short incubation periods, anywhere between 11 and 85 days. This strategy promotes high survivorship: the less time you spend chilling in a gooey amniotic sac inside a shell, the less likely you are to become somebody else’s brunch. To get actual data on how quickly dinosaurs hatched, Erickson and his colleagues needed a way of aging unborn embryos. An idea for how to do this came to Erickson in the early 1990s, when he was doing his masters’ thesis at Montana State University. There, he discovered that daily growth lines—so-called “von Ebner” lines—could be used to age adult dinosaur teeth. In the years following the asteroid impact that punched out the 10,000 square-mile Chicxulub crater, the world was in a state of extreme upheaval: devastating volcanic eruptions, rapid climate change, sudden ecological collapse. Taken together with other aspects of dinosaur biology, the risk of prolonged incubation periods would have made it difficult for dinosaurs to compete with smaller, faster-reproducing reptiles, birds and mammals. 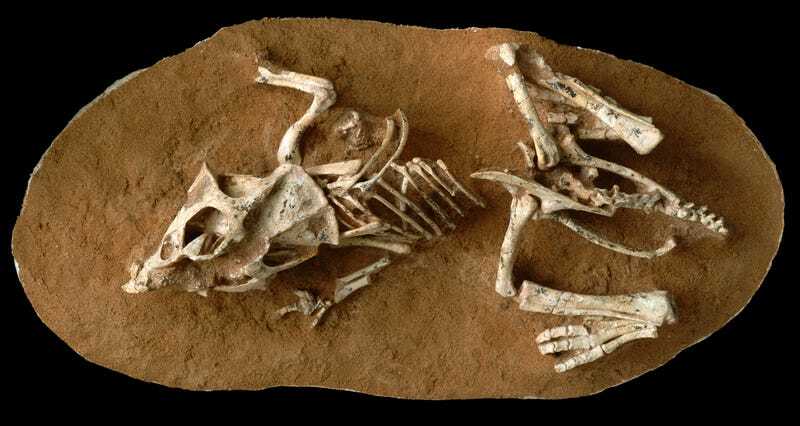 The study only looked at two specimens, and it remains to be seen whether long incubation times were a universal feature of dinosaur biology. Still, it’s sobering to think that one of the most infamous extinction events in Earth’s history may have been tipped off, at least in part, by excessive parenting.